Heating & Cooling system maintenance for Woodland & Battleground areas. 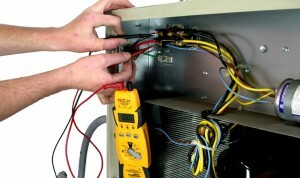 Heating & Cooling system maintenance for Woodland & Battleground areas. All Hours Heating & Cooling in Woodland & Battle Ground provide HVAC system maintenance services year around with same day and on call service available. Don’t wait to call us until your system breaks down. It is important to have both your heating and cooling system cleaned and inspected yearly. This will keep yours system running at full performance, and prevent expensive breakdowns in the future. All hours Heating & Cooling will keep your system running smooth no matter the size or age in your commercial or residential property. Buy now, and save later. Signing up for a yearly maintenance agreement with All Hours Heating & Cooling is a great way to ensure the best service and best prices on maintaining your HVAC system, along with the convenience of have a yearly reminder. We offer discounted trip/diagnostic fees, discounted labor on repairs, same day service, and discounted maintenance for contract customers with commercial & residential heating & cooling units.